hehe then who would they tour with? Has F4 been to the USA or world tour?? Also there are rumours that they might go on tour with S.H.E again. I don't know, I am just saying that they should haha. They should do that tour with S.H.E. I know, but why can't competitors be friendly? LOL- htey can be friedndly i guess... but wont they be worried that feiLH steal's their fanbase?? LOL!!! true true!! 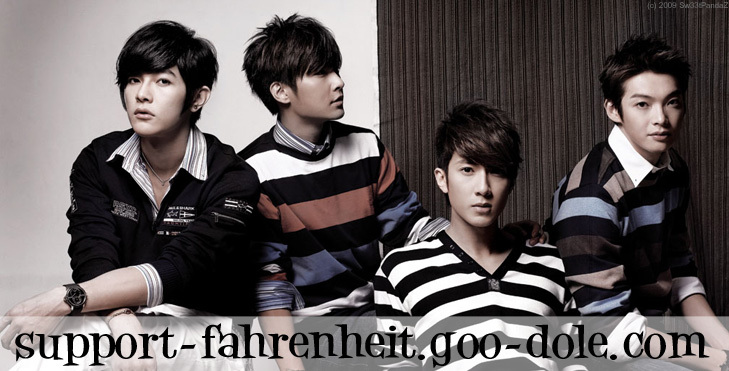 i suppose most fahrenheit fans were once at some time f4 fans aswell... unless they only started likeing fLH stuff from the very beginning.. I didn't get into asian stuff early enough to like F4. And they don't really attract me either. Lol its so funny cuz you know how aaron and jiro were like "i like singapore cuz its clean"? My dad said their airports were super clean out of nowhere at breakfast the other day. It was soo weird. They don't let you chew gum??? Lol. Sounds like my middle school except like a million times worse lol. Haha!!! They have strict littering laws too!!! Its scary. I wonder though, does this interview mean they've never been to singapore?? Cause if they have the cleanliness shouldn't be a shock.